The recent study To buy or not to buy? How Millennials are reshaping B2B marketing, conducted and published by IBM, offers a very insightful analysis of Millennials’ behavior at the time of making B2B purchasing decisions. The results can be analyzed in the light of the most recent developments in the virtual event space, with 3D immersive marketplaces and environments that represent a great opportunity for marketers to target Millennials’ effectively. Avatar-based and interactive platforms can represent the solution for those far-sighted businesses that are rethinking their marketing strategies to meet Millennials needs and expectations, as these are increasingly getting to higher positions in companies, with an impact on businesses’ purchasing decisions. 3D technologies are also engaging – because of the lifelike dynamics replicated by the presence of the avatar, which really becomes the proxy of the person, and encourages peer-to-peer interaction. Furthermore, they come with sharing functionalities, among the many the fact that they are integrated with all the other social networks (“other” because avatar-based technologies are actually social networks per se). For Millennials, engagement is very important. During the research phase, Millennials value direct relationship with the vendor more than any other generation (“…they also want to interact directly with vendors’ representatives—far more so than Gen X or Baby Boomers”). In this sense, impersonal marketplaces are no longer ideal to establish a relationship with potential customers. In addition, being the most tech savvy, Millennials never do purchases without conducting online research (“using online sources for research is routine for Millennials”). In Virtual Reality, they are able to access PDFs, papers, studies, 3D images and objects, high-resolution pictures, and all the relevant data and analytics about products and services. And, as said, Millennials want to have direct access to vendors. 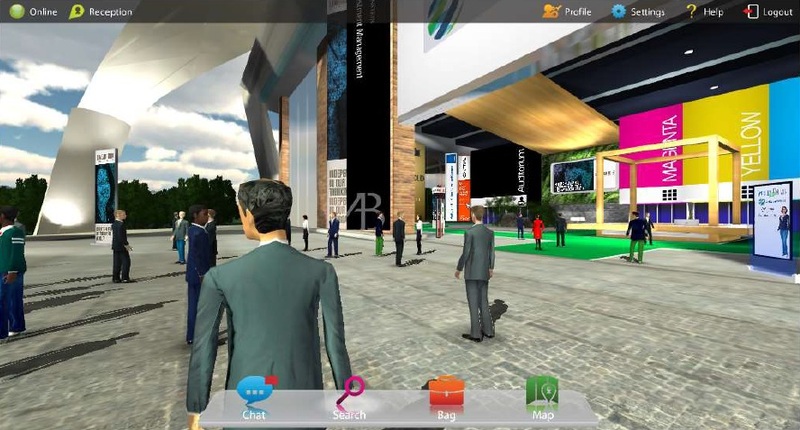 With Virtual Reality, vendors and buyers can meet online as avatar to chat, talk or engage in video calls. Avatar-based virtual environments can easily meet the need for direct interaction, while providing “authentic” –immersive – “experiences” (See Marketing to Millennials: the Power of ‘Authentic Interactions’). What really matters is getting to know what it would be like to work with a particular vendor. This is not about listening to a sales pitch. It’s about having authentic, personalized interactions to explore possibilities and get questions answered. Providing relevant experiences, both virtually and in person, will go a long way with Millennials, who will share their excitement with their co-workers. Virtual environments enable Millennials to do business the way they want. Millennials want to be in touch with vendors in the research phase. But then, during the actual sales cycle, they rather interact with vendors through quick, easy and short exchanges. Trends show that this is becoming all the more important in the case of younger Millennials, who are increasingly resorting to instant messaging to interact with vendors. Most advanced 3D immersive technologies enable instant messaging, both in the form of live chat as well as of automatic notifications to vendors when these are offline. At the time of buying, Millennials seek for the support and approval of those around them, including family and friends, people who are usually beyond the vendors’ target market. This makes it increasingly important to have a well-designed brand communication strategy. Virtual Reality provides for a new way to deliver multimedia content in a clean, focused, easy, entertaining and experiential way – providing for a great opportunity to improve the brand reputation, increase the company accessibility and engaging indirect targets (and consequently “influencing the influencer”). In a nutshell, VR environments are the way ahead and the future of marketing. They enable authentic and real-life “client experiences that matter” and are the most advanced tool for effective lifelike direct interaction and collaboration. They are a great way to engage influencers, and an innovative medium to deliver content effectively. And, the medium through which content is delivered plays a very important role in determining how content is received, understood and valued by the audience. Finally, they are fun, entertaining and easy to use.